B&W image of Model 103. It is shown with covers off. 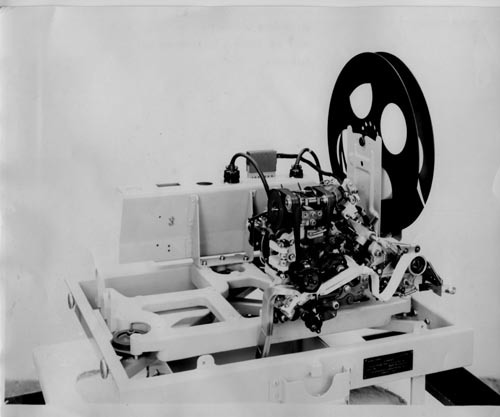 There is a paper tape reel, printing and tape movement mechanisms. A black identification label is affixed to chassis "Signal Corps U.S.Army Intercept Teletypewriter unit AN/GGC-2 ( ) Serial No. Order No. 26802-PH- 51 Klienschmidt Laboratories Deerfield Ilinois"
Verso: "KIienschmidt Laboratories Model 103 Intercept Teletypewriter Unit Test Model"